For most employers, your skills and experience are essential for assessing your suitability for a role. Finding a candidate with the right attitude, personality, and who is a good match with the company’s values and culture is paramount. 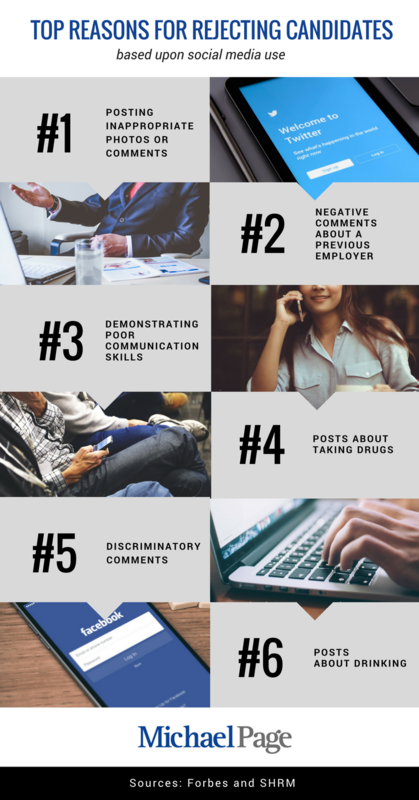 No matter how strong a resume may be, if an employer finds your online presence inappropriate or offensive – you could be jeopardizing your chances of landing the role or even getting an interview. If there are several quality candidates all vying for the same position, an employer will be actively seeking ways to filter down their selection - many employers are now turning to personal social media accounts to influence their hiring decision. Of course, your social media usage in your own time is up to you. It is your freedom of speech and personal choice – but it’s still wise to keep a few golden rules of thumb in mind while doing so.